This home is ready for you to move right in because the current owners have taken meticulous care of this property. The exterior has been freshly painted, the deck power washed and new heating and central air conditioning added in the last couple of years. The home is nestled on a cul de sac in the Woodlake neighborhood, the lot is level, the backyard is huge and the home is within walking distance to the community pool, lake, trails and a nearby city park. Inside you’ll find custom moldings, hardwood floors in the foyer, nine foot ceilings down and a nicely flowing floor plan. The kitchen is modern, functional and offers a wealth of work space. The living room and dining room are both sun splashed and inviting. Upstairs are three bedrooms and the master offers two walk in closets and a spa type master bath complete with soaking tub. Interested in learning more about this lovely home? 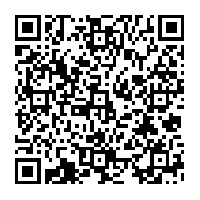 Call, text or email me Michael Sullivan, the expert on all Durham NC properties. 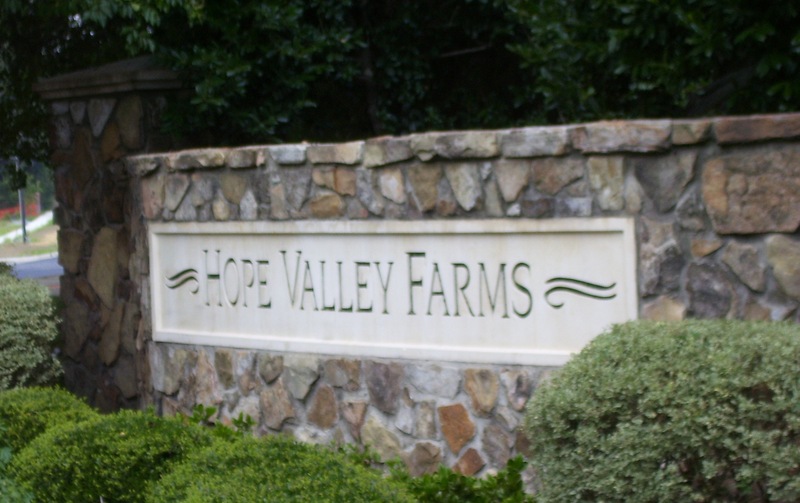 The thought that went into the planning of Hope Valley Farms in Durham NC naturally draws many real estate consumers looking for a place to call home. The neighborhood has an abundance of green space, trees, walking trails, sidewalks and community amenities. Hope Valley Farms also offers a staggering variety in terms of housing style and housing size. In this well planned neighborhood one can find modest, efficient starter homes, townhouses, move up homes and executive styled homes. The neighborhood is planned so those like properties are kept in close proximity to one another. This is a splendid idea and one which is still used in neighborhood planning today. Hope Valley Farms also offers shopping within walking distance of a majority of the homes there. At the corner of South Roxboro Road and Martin Luther King Parkway at the north end of the neighborhood is a Kroger, CVS Pharmacy, several fast food outlets, specialty stores and a Super Wal-Mart is in the building stage. Additionally at the corner of Fayetteville Road and Martin Luther King Parkway is a Lowes home center. The schools which serve the neighborhood are close at hand too. Interested in learning more about Hope Valley Farms, call me or text me today. Click this link to see all available homes for sale in Hope Valley Farms. For 17 years I have been selling the finest homes in Hope Valley Farms. You’ll hear it called by many different monikers; The Triangle, RDU, Research Triangle Region, RTP and then of course each of the distinctly different cities have different nicknames. The Triangle is comprised of Raleigh, Durham and Chapel Hill as its foundation. Research Triangle Park grew out of the three pre-eminent universities in the region; NC State in Raleigh, Duke University in Durham and The University of North Carolina at Chapel Hill banding together to stem brain drain in the 1950’s and 1960’s. What happened boggles the mind; a world class, sprawling research and development campus and population that is, in simple terms, amazing. Raleigh, the largest of the three communities is the state capital. It is also the largest Triangle city with 402,000 people. Durham follows with 262.751 and Chapel Hill is the smallest with 48,715. Each of the points of the Triangle is unique and distinctive and yet helps make up a far greater whole. Raleigh offers a rather provincial Old South feel outside of downtown. The arts thrive in this city as does collegiate and professional sports. Raleigh is home to the Carolina Hurricanes a NHL franchise and truly the Triangle is nuts for hockey. This is a function of so many northern transplants. Raleigh offers acres upon acres of greenway for running, biking, hiking and walking and hundreds of acres of parks for outdoor living. Durham is urban, trendy, edgy, fun, funky and a top food destination and Durham’s Performing Arts Center is rated one of the best in the nation. Here you can see first run Broadway shows on tour. Durham is home of the Durham Bulls baseball team made more famous by the movie “Bull Durham.” Durham has more active artists than any other community in North Carolina. Durham, the city of medicine, the Bull City also has more physicians per capita than anywhere else in the United States. Duke Medical Center has over 1000 patient beds and people come to the region from all over the world for first rate medical care. Chapel Hill is the quintessential college town. The feel is friendly, liberal, accepting and forward looking. Chapel Hill offers a world famous hospital too, UNC Hospitals. Life in Chapel Hill centers on the University of North Carolina; the oldest public university in the United States and where tens of thousands of students attend school there. Chapel Hill is often referred to as the “Southern Part of Heaven” and the town like all of the other communities in the region has an abundance of highly acclaimed eating establishments. Weather; our weather is temperate. We get four distinct seasons, winter is typically mild with little snow, spring is divine, summers are hot and humid and fall is divine. Recreation; boat of Falls or Jordan Lakes, swim there, jet ski there, fish there too. Enjoy some of the best golf courses in the country. Walk our trails, ride our trails dip your feet in the Eno or Neuse Rivers. Come for a festival, we have them year round. Visit Durham Performing Arts Center or take in a basketball game at Cameron Indoor Stadium, The RBC Center, Reynolds Coliseum or The Smith Center. Anyone who’s been here for awhile realizes quickly that basketball gets into your blood and during March madness the atmosphere in the Triangle is electric. Then too, sip coffee in an outdoor café or visit the NC Museum of Art, the Ackland Museum of art or the Nasher in Durham. Here you’ll find an enlightened and engaged population in touch with their past and eager for their future. Jobs are well paying and easy to find too. Stop the car! There is so much to love about this light and bright end unit townhouse. New hardwood flooring has been added in the kitchen, breakfast room and the foyer. New paint has been added on the entire inside all of the wall to wall carpeting has been replaced too. The baths and kitchen have been updated and the upstairs floor plan is one of the most unique in the 4100 Five Oaks Community. As for location, well smack dab between Duke and UNC; you’ll love the history of living right along Tobacco Road and the world famous basketball rivalry. Five Oaks is a great place to call home. There are year round activities at the club; there is also swimming, tennis, basketball, volleyball, yogo, Zumba, bingo, bunco, poker and many activities around the movie loft.